The bathroom features a tub with shower. 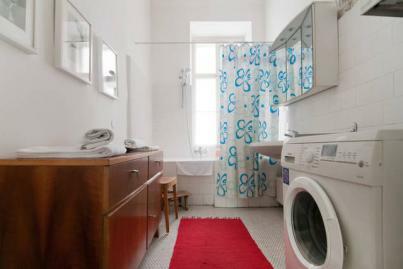 Here you find also a washing machine - very useful when you stay longer. The WC (toilet) is in an extra room, so you can enjoy your bath while husband needs to use the John ..